Preheat the oven to 325 F. Line 2 mini cupcake trays with mini cupcake liners and set aside. In a small cup or bowl, combine the almond milk and lemon juice, mixing until combined. Set aside. In the bowl of a standing mixer or a medium-sized mixing bowl, combine the flour, cocoa powder, brown sugar, white granulated sugar, baking soda, and salt, mixing until well combined. Add in the prepared egg replacer*, canola oil, vanilla extract, and almond milk-lemon juice mixture. Beat for 2 minutes on a medium speed setting, scraping down the sides of the bowl with a spatula to ensure even mixing. Using a small portion scoop, portion the batter into the prepared cupcake liners, filling each about 3/4 of the way full. Bake for 15 minutes. Allow cupcakes to cool in the pan for 5-10 minutes before transferring to a wire cooling rack to cool completely. 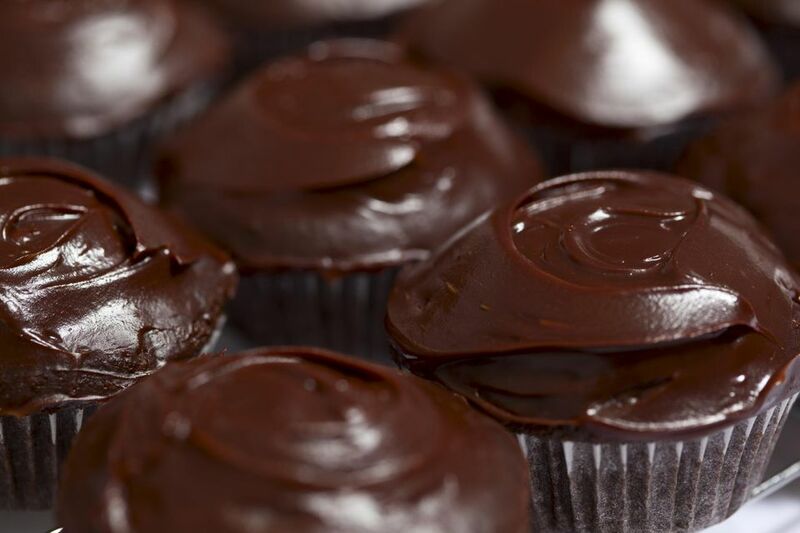 Once cupcakes are completely cooled, frost with Vegan Chocolate Frosting. *If you are not egg-free or vegan, you can use eggs instead of the egg replacer in this recipe. Just use 2 large eggs and lightly beat them before adding to the dry ingredients along with the other wet ingredients. **This recipe is suitable for dairy-free, egg-free, vegan, and gluten-free and wheat-free diets, but as with any recipe intended for persons with allergies or dietary restrictions, make sure to read all nutritional labels carefully to make sure that there are no hidden dairy-derived ingredients (or gluten, egg, or wheat ingredients, if these apply to you).